All thoughts and opinions posted within this post are, as always, my own and should in no way reflect anyone else's opinion. If you agree with what I saw, AWESOME, if you don't, AWESOME. Either way, please respect what it said and shared here, and I shall in turn respect yours as well. Opinions are completely subjective to yourself and anyone else. Don't expect a person to follow your line of thought, but do open your mind to other opinions and how they may match or differ from yours. Thank you. This post is coming out later than anticipated, due to essay deadlines (ouch) and some personal things that came up the day before. 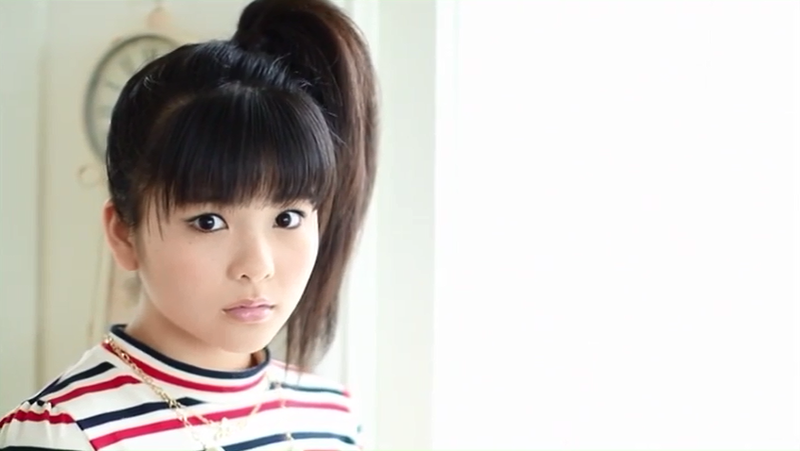 I apologise for this posts lateness, but I hope you enjoy it in all its Meimi glory, because, y'know... Meimi! :D YAY! 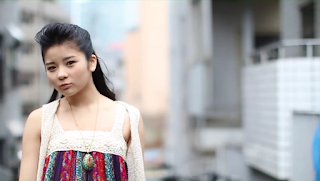 I'm honestly surprised that, out of all S/mileage and ANGERME members ever, Tamura Meimi is the one who hasn't yet had a photobook published of her own, to date, and to know that she will never have one of her own as a part of Hello! Project is really darned surprising for me. I mean just look at this girl! She's gorgeous, and when you look at her smile, she lights up the room. So, because she never had that much needed photobook release, I thought I would review the next best thing: her one solo DVD, May. (how in the heck has she only released one!?). It's basically a photobook, except she kind of moves a lot in it, and we see her expressions change throughout. 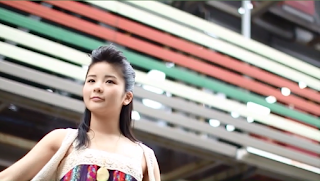 So, with a bunch of gifs and some lovely still shots of this girl, let's have a look at Tamura Meimi in all of her toothy glory, and appreciate her as the perfect sprig of joy that she is. *pretending she doesn't see me* Huehuehue, Meimi~ Why so cute? Why so perf? Littlest Vampire: "Mufu, I see you~"
Littlest Vampire: "N'aww... they left..."
Honestly, how is she THIS cute!? 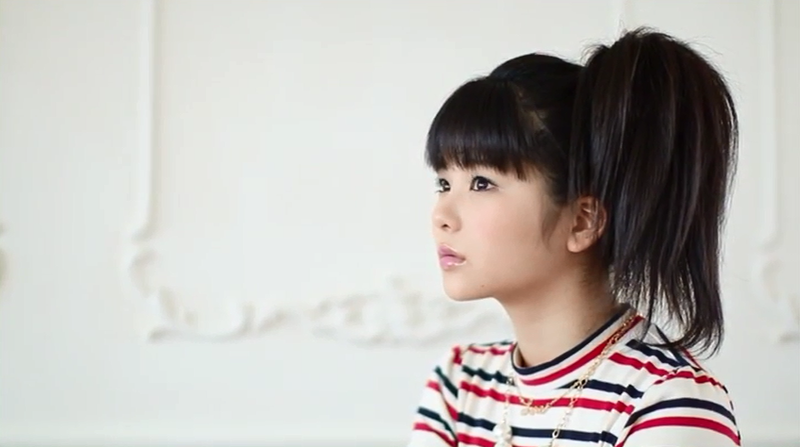 H!P, do you know what the fudge you letting go!? Okay, that's darned cute. Can I try the hat on, too!? ... Okay, no, THIS is darned cute! Peek-A-Boo, I see you! Oh good grief, if this isn't adorable, then you need to reevaluate Meimi and her extraordinary teeth and come back later. 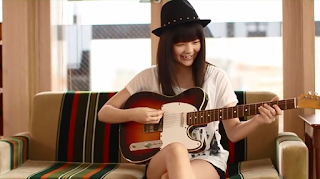 Guitar + Hat + Legs = YASSSSSSSSSSSSSSS!!! The happiness she exudes gives me happiness! This girl infects you with smiles and love, I swear! H!P can't afford seats any more, it seems. I swear, this girl is perfection. Big eyes, sweet face, amazing hair, incredible voice, and lovely expressions. What can't she do!? Yes, I'm still here! Don't look so sad, sweet Vampire Dumpling! Hey, don't hide behind the curtains! I wanna see that pretty face! So. Freakin'. Lovely. HOW is she so perfect!? Shoes. And legs. Legs and shoes. That slow walk and spin is on point. Thank you, Meimi, for your exceptional legs, and for existing in general. D'aww, honey, you okay? What ya thinking about now? And Ding Dong IDOL LIPS! That's a Gremlin-I've-Got-A-Plan face if ever I did see one >o> What chu planning, gurl? Urgh, so that's what her plan was... to scare me... >o> Idols these days! Just think, if Meimi didn't have those crazy cute heels on, she would be shorter than this... wire thing. Seriously though, ain't it creepy how one eye is showing... and then the rows of vampire fangs this child has!? CREEPEH!!! Cuteness in a nutshell. Good grief, why is she so adorable!? H!P, you truly lucked out with this one! And now y'all letting her go D8< Urgh! I was here the entire time! Question Time: ... WHY doesn't she have a Photobook!? Enlighten me, please. Be honest with me: Wouldn't this have made a wonderful photobook? Meimi, y'all can't just hit the damn wall! Littlest Vampire: "Yes, I can." Littlest Vampire: "There there... I didn't mean to hit you." I really want one, H!P. I really do. She really is a beauty, isn't she? Gorgeous smile, amazing camera presence, charisma and cheer. She is everything. 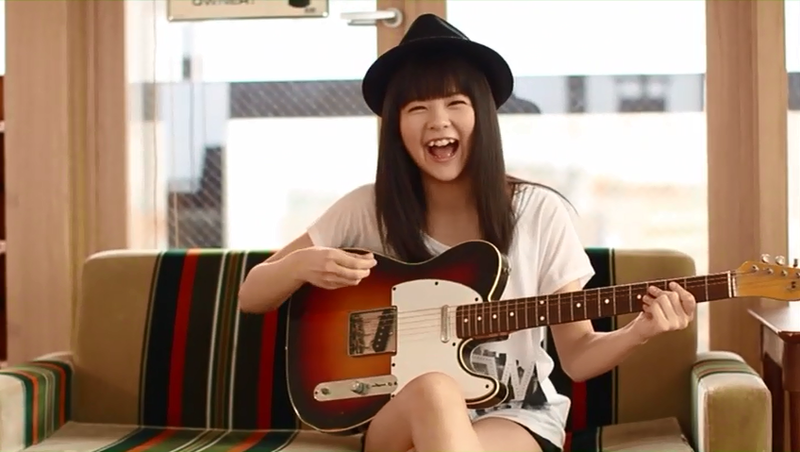 She is Idol. What I share here is only a little bit of what May. has to offer, because in the 50 minutes you are just watching Meimi, you get so much more than imagery and delight. You get an overwhelming sense of happiness from her, and every time you watch this girl and see her smile that glorious beam of hers, you want to grin from ear to ear as well. Her happiness is infectious, and it reaches you from the other side of the screen. Everything Meimi exudes, she delivers it to you, no matter where you are or where she is. Looking at Meimi in this DVD, I couldn't help but wonder just how she had gotten away with no other solo DVD's or photobooks within her time as a member of Hello! Project, S/mileage and ANGERME. She's cheerful, bright and a ray of sunshine to her fans, and in everything she does, you can see and feel that energy and happiness she contains. I really do wish I could have seen that even more in a photobook or even more solo DVD's, because Tamura Meimi's joy is something you need to share, and it's something you should experience. This girl is a ball of light. She keeps you going, and she keeps you smiling even in the darkest of times. When I sat and watched this, screen grabbing as I went, this amazing Idol made me feel such happiness when I wanted to do nothing but cry. She brightened my day, and she gave me something to enjoy. Tamura Meimi is truly a treasure not only in this, but everything she has ever performed and taken part in. For those reading this, I apologise if it feels rushed or terribly written, and for its lateness. But, I thank you for reading this, and for enjoying all things Meimi. I hope that today, this girl managed to put a smile upon your face, and I hope that you were able to watch this DVD and see just how truly amazing she is. Until our next Meimi based post, please enjoy all things Meimi, and love that bright smile that lights up our worlds.